See all your work apps in one place. 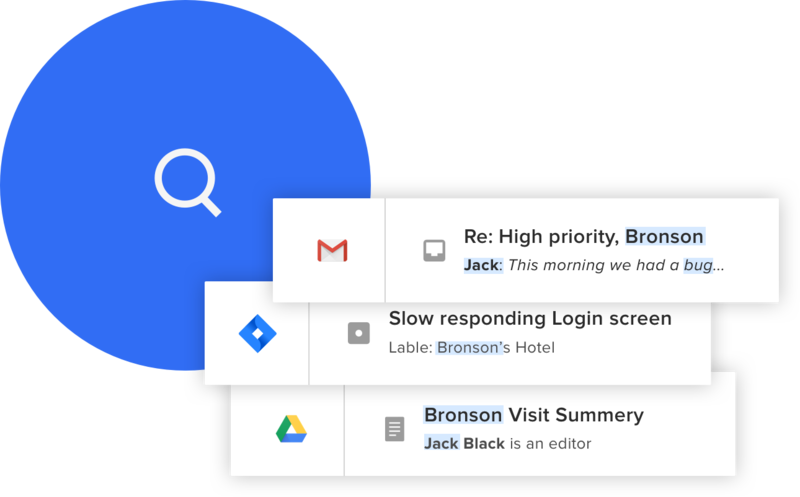 Reduce notifications load, and search for anything. 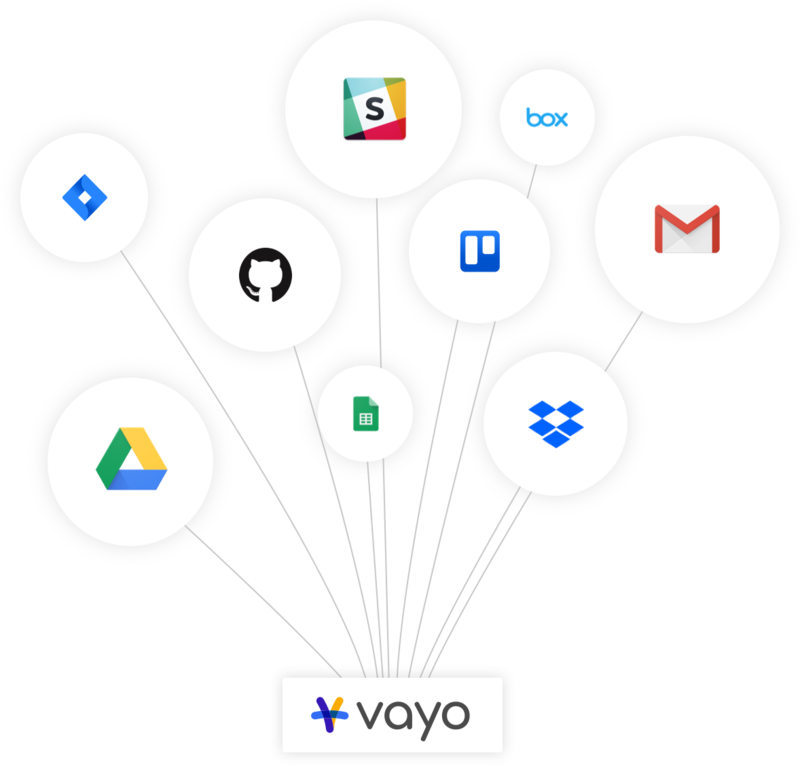 Vayo lets you get work done faster. Have you ever found yourself playing catch with your to-do’s? 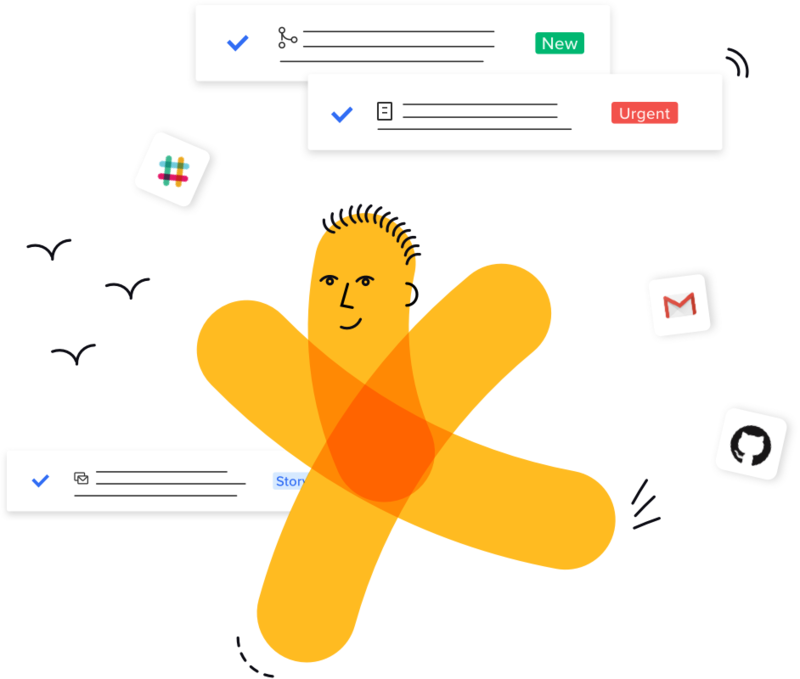 Lost in constant distractions, chasing down scattered bits of information, and juggling between apps?